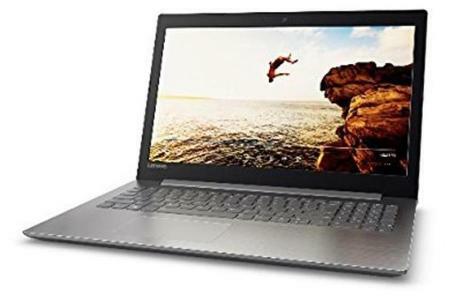 Price of Lenovo IP 320 80XL03R1IH (Intel Core i7 - 7500U/8GB RAM/2TB HDD/DVDRW/ 39.62 cm (15.6 Inch) FHD/Win10+Office 2016/4GB GFX/1Yr) (Onyx Black) in the above table is in Indian Rupee. The Lenovo IP 320 80XL03R1IH (Intel Core i7 - 7500U/8GB RAM/2TB HDD/DVDRW/ 39.62 cm (15.6 Inch) FHD/Win10+Office 2016/4GB GFX/1Yr) (Onyx Black) is available in Paytm. Lenovo IP 320 80XL03R1IH (Intel Core i7 - 7500U/8GB RAM/2TB HDD/DVDRW/ 39.62 cm (15.6 Inch) FHD/Win10+Office 2016/4GB GFX/1Yr) (Onyx Black) prices varies regularly. Please keep on checking our site to find out the latest prices of Lenovo IP 320 80XL03R1IH (Intel Core i7 - 7500U/8GB RAM/2TB HDD/DVDRW/ 39.62 cm (15.6 Inch) FHD/Win10+Office 2016/4GB GFX/1Yr) (Onyx Black).